With hosted IT, the ideal solution takes into account the client needs and the methods for best servicing those needs. When cloud and dedicated servers are mixed to produce the proper system, clients not only receive a superior experience, they often receive it at a lower cost. 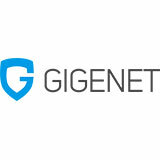 GigeNET walks you through our methodology for providing you the best system for your needs. Understanding the fundamental differences of today’s IT is critical to the success and growth of your business. GigeNET, a 20-year industry veteran, walks you through each service, highlighting their strengths and weaknesses, so you can make an informed decision.